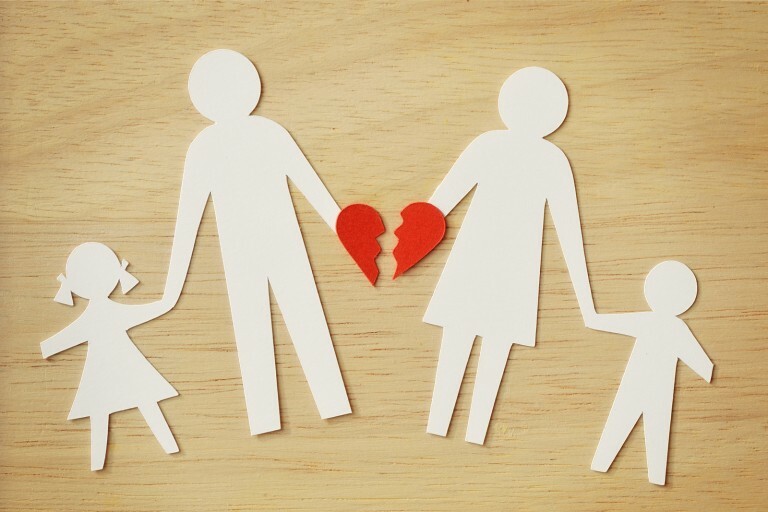 Your Hardest Family Question: How can I best support my sister leaving an abusive marriage? My sister is leaving her emotionally abusive twenty-plus year marriage. They have children and both sides of the family are heavily involved with different opinions about what should happen. My husband and me are part of her support system, but we don’t want to make things harder on her. We support her in getting out of a marriage that has emotionally torn her down. The amount of control he’s had over her over the years has been painful to watch, especially as she’s now trying to get out of the marriage. She goes back and forth wondering if she’s making the right decision, even though it’s pretty obvious that this marriage needs to end. I’m just wondering how I can best support her as she goes through all of this. It’s agonizing to watch a loved one get torn down by someone who is supposed to love and protect them. Leaving an abusive marriage will always raise the intensity, therefore subjecting the injured to more injuries. Even though she’s going through something awful, remind her that she’s in motion and passing through this experience so she can come out on the other side of it free from the abuse. The biggest thing you can do right now is make sure she’s physically safe. Even though emotional abuse is a form of domestic violence, there is a very real risk of physical violence, especially as she holds her abuser accountable both privately and publicly. Constantly ask her if she feels physically unsafe. She may minimize or play down her level of safety, as these conditions are normal to her. Listen for any indicators of rising levels of aggression or escalated threats that point to a potential risk of physical harm. Offer your home to her day and night as a safe house where she can run to safety. Also, give her the local domestic violence shelter contact information. No woman wants to see herself as a victim of domestic violence, but these shelters offer immediate safety, anonymity, support, and resources for any woman who finds herself in a threatening environment. If she can’t get in touch with you, she needst to have a backup plan where she can quickly get to safety. She will also need to know that she can trust her feelings. When someone is being emotionally abused, they are repeatedly told that they don’t see things correctly. They learn to stop trusting their own feelings, as these feelings, when expressed, only bring on more criticism and abuse. So, they get used to reading everyone else’s feelings so they can create calm conditions. The loss, however, is that they stop trusting how things feel and it keeps them from taking action. Ask her what she thinks, how she feels, and what she wants to do. Give her time and space to explore and settle on the course of action that makes the most sense to her and her needs. Encourage her to act on these thoughts and feelings and reinforce that she knows how to guide her life. This also applies to spiritual promptings. Many abused individuals stop trusting their ability to receive spiritual promptings and act on them. Let her know that she has a voice and can send and receive clear messages about what’s best for her life. It’s not helpful to criticize her husband as a form of support. He may soon be her ex-husband, but he is the father of their children and he’s someone she loved and worked to love for over two decades. It’s not possible or helpful to expect someone to instantly sever the deep longing for attachment they feel toward their ex-spouse. She will likely have moments where she misses him and grieves the loss of the relationship, even though it doesn’t make logical sense to stay with him. Give her permission to grieve the loss of that dream of having an intact family for herself and her children. Indeed, it is tragic and sad. Your willingness to acknowledge that reality will help her also trust her feelings as she gets her emotional bearings. Stay accessible and responsive to her. Reflect back what she tells you to know that she’s heard and taken seriously. Try not to become frustrated when she doubts herself and even reconsiders going back to the relationship. This is normal. Help her expand her support system to include professional counseling, church ministers (both priesthood leaders and Relief Society), friends, and other family members. She doesn’t need to give everyone an updated play-by-play of what’s happening, but rather let them know of this transition and how they can best support her. Sometimes it’s helpful to let others know so you can begin accepting your new reality with that extra layer of accountability. Don’t worry about taking sides. Anytime there is abuse, you need to take sides. Abuse in any form is wrong and you can’t pretend that it’s a level playing field when there are power dynamics at work. Your sister needs to know that you are on the side of safety, respect, and dignity. You can still care about her husband and hope that he gets the help he needs, but your biggest priority is the emotional and physical stability of your sister and her children. It can be helpful for you to do some research and reading on the dynamics of emotional abuse so you can reflect back to her what is healthy and what is not. Now that your sister has made up her mind to exit her abusive marriage, she will need your ongoing support for a long time. It takes years to untangle the impact of an abusive marriage. Betrayal traumas like this are huge because the abuser had ongoing and direct acccess to her for years. She will need to relearn the truth about herself and relationships so she can live a life free from the effects of abuse. Other people have told me that what I grew up with was emotional abuse. I've never believed it until now. When you explained the way people don't trust their own feelings and carefully watch others in order to know what to do to avoid conflict, my blood ran cold. I spent my childhood and most of my adulthood watching my parents, older siblings and others in authority in order to know what to do, what to say, and what to feel. I still struggle with giving my own feelings any credence. Thank you. I hope this helps me heal. You mention opening up your house to the abused sister as a safe house. While this may be ok in this particular situation, if the other spouse is physically violent this is NOT a good idea! That is why women's shelters are 'hidden." If the husband would be violent and the sister is at your house, it could put your family in danger as well. Having an escape plan, a bag packed (but kept hidden), money stashed away, important documents gathered and placed in the "escape bag" and even a code word to tell a trusted friend that means "I'm in danger" are all things that should be considered here.